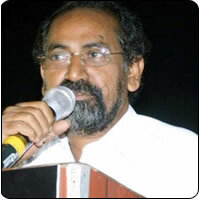 Although he started out with a love story (Iyarkai), Jananathan branched out into more serious social issues in movies namely Ee and Peraanmai. Looks like Jana is tempted to trace his roots once again with a yet to be titled romantic film, starring all newcomers. The project is in its initial stages of evolution and more details are expected to be out soon. Incidentally, Jana's contemporary Bala, whose earlier credits include the intense Sethu, Nandha and Naan Kadavul is also turning into a light rom-com with Avan Ivan starring Arya and Vishal. Love is in the air, we guess.